And Now, A Special Announcement! Well, after weeks spent beavering away at edits and the like, the follow-up to Fire & Sword is now ready for release! It’s called The Gryphon at Bay, it features as its main character and (anti-! )hero the man everyone loves to hate from Fire & Sword: Hugh, 2nd Lord Montgomerie. 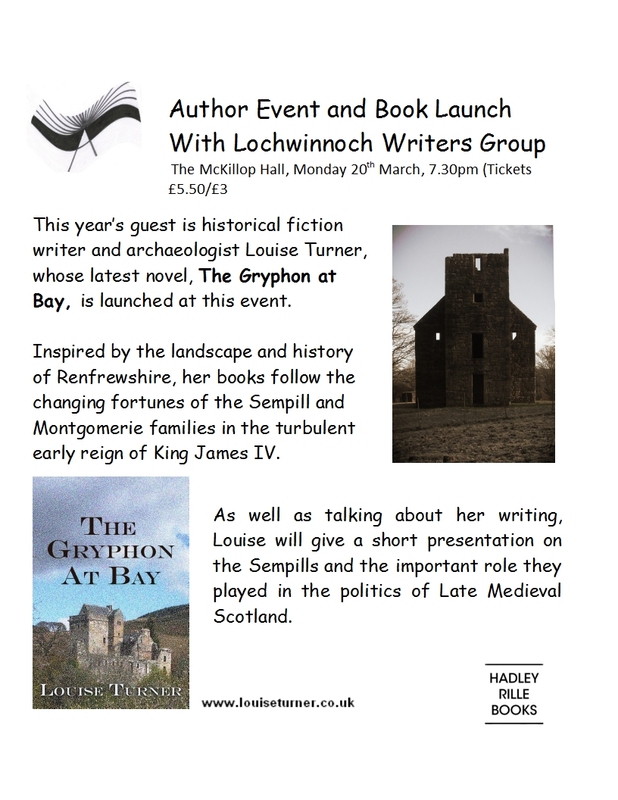 The launch will take place on Monday 20th March at 7.30pm in Lochwinnoch: full details are shown in the accompanying flyer! It’s shaping up to be a great night – tickets are available at outlets around Lochwinnoch, and they’ll also be available at the door. 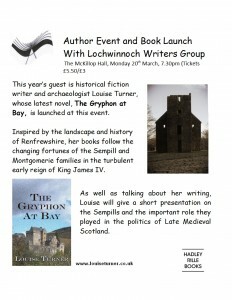 And, of course, you’ll be able to get your signed copy of the book and find out what happens next in the saga of John Sempill of Ellestoun, Hugh, 2nd Lord Montgomerie, Margaret Colville, Helen Campbell and Matthew Stewart, Master of Lennox! This entry was posted in Uncategorized on March 19, 2017 by louiseturner.